The 2019 WWE Royal Rumble Kickoff pre-show opens live from Chase Field with Jonathan Coachman. We see fans filing into the stadium. Coach introduces WWE Hall of Famers Jerry Lawler, Booker T and Beth Phoenix. They hype tonight's big event. They send us to Charly Caruso and JBL elsewhere in the stadium. They talk about the importance and some of the Rumble history before leading us to a quick recap video for Sasha Banks vs. RAW Women's Champion Ronda Rousey. We go back to the panel for discussion on Banks vs. Rousey. The panel also hypes tonight's Kickoff title matches. We get a backstage video of Mandy Rose and Sonya Deville. They take shots at Naomi and Jimmy Uso. Rose is looking for her career to explode with a big Rumble win tonight. Deville is ready to put her hair up and square up, then go on to headline WrestleMania 35. There's some friendly tension there about Deville having Rose's back in the Rumble. Kayla Braxton is backstage with WWE 205 Live General Manager Drake Maverick. He confirms Akam is injured but Rezar still wants to be RAW Tag Team Champion. Vince McMahon has ordered Rezar and Scott Dawson of The Revival vs. another tag team tonight. A win would put AOP and The Revival in line for a future RAW Tag Team Title shot from Chad Gable and Bobby Roode. Drake hopes Dawson will be down with the plan. We go back to the panel and they don't believe this plan will work. The panel leads us to the "By The Numbers" video for the Rumble. We go back to the panel and they're interrupted by R-Truth and Carmella. Truth has breaking news - they are both #30 in the Elimination Chamber matches. Carmella says they will throw the biggest party in history after they win tonight's matches. Coach leads us to a backstage video of Alexa Bliss arriving to the stadium for her ring return tonight. We also get a backstage video from Samoa Joe discussing the Rumble. We go back to the panel and they discuss tonight's WWE Universal Title match. Lawler can't go against champion Brock Lesnar. Beth believes Finn Balor could possibly pull it off. Booker says Balor will have to swing and not get hit. Coach hypes the match some more and sends us to a video package for it. We go to JBL and Charly for a discussion on tonight's WWE Title match. They also discuss the Royal Rumble Burger from Chase Field. We get a pre-recorded video from WWE Champion Daniel Bryan. Bryan rips on AJ Styles, people abusing the planet, and the burger. He ends the promo by stomping on the burger. We go back to Coach for a plug on the WWE Worlds Collide tournament. Coach sends us to ringside. Michael Cole welcomes us to ringside. He's joined by Corey Graves and Renee Young. Out first come RAW Tag Team Champions Chad Gable and Bobby Roode for this non-title match. Mike Rome does the introductions. Out next comes Rezar with WWE 205 Live General Manager Drake Maverick. Scott Dawson is out next by himself. Roode and Dawson start the match. Dawson drops Roode with a shoulder. Gable tags in as Roode fights back. They double team Dawson in the corner. Gable catapults Dawson out of the corner for a 2 count. Gable works on the arm now. Dawson fights back but Gable rolls him for a 2 count. Dawson with a 2 count. More back and forth and pin attempts between the two. Gable with a crossbody from the corner for a 2 count. Roode ducks a cheap shot on the apron from Dawson. Dawson takes Gable down and tags in Rezar. They double team Gable and Rezar chokeslams him. Rezar stands over Gable and yells out. Rezar clubs Gable with forearms on the ropes now. Dawson tags himself in and Rezar isn't happy. Dawson drops Gable and goes to work on him. Dawson with a suplex for a 2 count. Gable fights up and out. Rezar tags in and breaks up Gable's pin with a boot. Rezar pounds on Gable now. Rezar with a 2 count. Rezar launches Gable into the turnbuckles and he goes back down. Dawson comes back in and nails a suplex for a 2 count as Drake cheers them on. Gable fights back but they both go down. Roode and Rezar rally for tags now. Rezar tags in and lifts Gable for a chokeslam, holding him in the air. Gable turns that into an armbar on the ropes as the referee counts. Dawson tags back in to stop the tag but Roode gets it. Roode unloads on Dawson now. Roode nails Rezar in the corner. Roode with a Spinebuster on Dawson as fans pop. Dawson with a big shoulder to the gut in the corner. 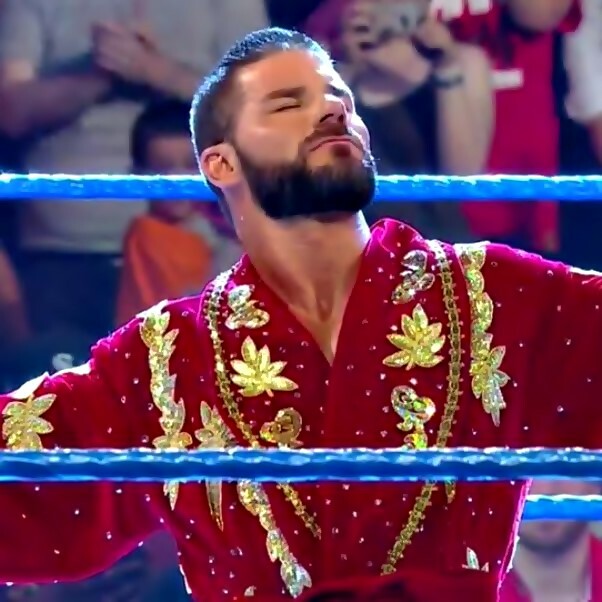 Roode with a Blockbuster on Rezar. Dawson rolls Roode up for a close 2 count with a handful of tights. Dawson knees Roode. Rezar holds Roode as Dawson goes to the top but Dawson misses and dropkicks Rezar. Roode and Gable send Rezar out to the floor. Dawson counters Roode for a 2 count. Gable tags in and goes to the top as Roode holds Dawson for the assisted Blockbuster. Gable covers for the pin to win. We go back to JBL and Charly but they're interrupted by Lio Rush and WWE Intercontinental Champion Bobby Lashley. Rush brags on Lashley for a minute before they walk off. Charly and JBL discuss tonight's SmackDown Women's Title match now. We go back to the panel. Coach is now joined by Phoenix, David Otunga and WWE Hall of Famer Shawn Michaels for the second hour. They discuss tonight's Rumble matches and go over the card again. We go to ringside as Tom Phillips welcomes us. He's joined by Graves and Byron Saxton. Out first comes Shinsuke Nakamura as Greg Hamilton does the introductions. WWE United States Champion Rusev is out next with Lana. The bell rings and Nakamura charges but Rusev takes him back into the corner. Rusev unloads and drops Nakamura for a quick 2 count. Rusev takes Nakamura back down and drops elbows for another pin attempt. Rusev works Nakamura around the ring now. Rusev with a second suplex. Rusev clotheslines Nakamura over the top rope to the floor near Lana, who applauds her husband. Nakamura drops Rusev on the floor with a big kick. Nakamura places Rusev on the apron and delivers a high knee. Nakamura with a quick pin attempt now. Nakamura with bad vibrations in the corner now. Nakamura places Rusev on the top turnbuckle and charges in with another knee for a 2 count. Nakamura keeps control until Rusev tosses him to the mat. Rusev with a big dropkick. They trade big strikes in the middle of the ring now. Rusev with a fall-away slam. Rusev charges and splashes int he corner. Rusev with a spin kick off the ropes. Rusev covers for another close 2 count. Rusev sends Nakamura back to the floor. Rusev runs the ropes for a suicide dive but Nakamura meets him at the ropes with a kick to the head. They bring it back in and Rusev avoids a kick. Rusev levels Nakamura with a kick of his own for a 2 count. Rusev shows some frustration now. Rusev stomps on the back but Nakamura gets up. Nakamura sweeps Rusev and unloads, nailing him in the face for a close 2 count. Nakamura waits for Rusev to get up now. They miss the Kinshasa and the Machka Kick but Rusev nails a big double ax handle. Rusev with the Machka Kick. Rusev with a big side-slam. Nakamura pulls Rusev into an armbar. Nakamura turns that into a triangle. Nakamura keeps the triangle locked until Rusev starts to fade. Rusev powers up but he's caught in the guillotine. Rusev powers out and hits a big suplex for a 2 count. More back and forth now. Nakamura drops Rusev for another close 2 count. Lana gets on the apron while Nakamura is trying to expose the turnbuckle. She calls him out to the referee. Nakamura yells in her face. Rusev charges but Nakamura moves. Rusev knocks Lana off the apron and she lands on the floor. Rusev yells for her to get up. Nakamura charges from the back with a knee to the head. Nakamura covers for the pin to win the title. Rusev checks on Lana at ringside, and Nakamura celebrates with his U.S. Title belt in the ring. We go back to the panel for more discussion on the Rumble. We go backstage to a crazy Nikki Cross, who hypes up her spot in the women's Rumble later tonight. The panel shows us highlights from last night's WWE NXT "Takeover: Phoenix" event. Shawn talks about his role with the brand and he gives them props. We also see the post-Takeover brawl from last night. Shawn reveals a Halftime Heat segment online next Sunday during the NFL SuperBowl with a big six-man NXT match. Shawn will be doing guest commentary. We go to ringside and out first comes Kalisto. Vic Joseph, Aiden English and Nigel McGuinness are on commentary. Kalisto is out first. Akira Tozawa is out next. Hideo Itami is out next, accompanied by Ariya Daivari. Daivari heads back to the back. WWE Cruiserweight Champion Buddy Murphy is out next. The bell rings and Itami goes to the floor as the others go at it. Murphy controls some until they go to the outside. Murphy ends up dropping Kalisto on his head on the floor. Itami returns to the ring and motions for Murphy to come in and fight. Itami gets the upperhand and drops Murphy in the corner. Itami stops Tozawa from coming back in the ring. Itami tries to bring Kalisto in from the apron but he resists. Murphy comes over and tries to powerbomb Kalisto to the floor. Tozawa runs the ropes and drops Murphy and Kalisto into the barrier with a dive, which Kalisto turned into a hurricanrana on Murphy. Itami watches from the ring. Itami brings Kalisto and Tozawa in, keeping them down. Itami with a 2 count on both of them. Itami sends Murphy back to the floor and goes back to work on the others. Tozawa leaps out, taking Murphy down on the floor. Kalisto rocks Itami. Kalisto springboards in with a senton. Kalisto with another big twister off the ropes. Kalisto unloads in the corner and drops Itami for a close 2 count. Murphy comes in and stops the Salida del Sol. Tozawa comes off the top with a missile dropkick to Murphy. Tozawa with more offense and a 2 count on Murphy. Tozawa goes to the top but Itami stops him. Itami brings Tozawa down but Tozawa spikes him into the mat face-first. Tozawa runs the ropes and nails a suicide dive to Itami. Kalisto also flies out. Murphy runs the ropes and leaps out, taking all 3 opponents down. Kalisto spikes Murphy into the mat with a hurricanrana for a 2 count. Kalisto goes to the top for a move on Murphy but Itami stops him. Itami gets kicked away. Murphy nails Kalisto and hits a sitdown powerbomb for a 2 count as Tozawa breaks it up. More back and forth now. Tozawa drives Murphy into the mat but Itami tries to steal the pin. Kalisto stops it as they all trade pin attempts. Kalisto with Salida del Sol to Itami for a close 2 count. All 4 Superstars are down now. They get up and brawl. Murphy and Itami are left standing. They trade shots in the middle of the ring now. Murphy with a big knee and an enziguri. Murphy drops Tozawa. Kalisto and Tozawa drop Murphy. Kalisto and Tozawa go at it now. Tozawa drops Kalisto with a kick. Murphy unloads on Tozawa and hits a big jumping knee. Kalisto also eats a jumping knee as he flies in. Itami goes for the GTS on Murphy but he slides out. Itami with a back-fist. Murphy slides out and nails a knee. Murphy lays Itami out again. Murphy hits Murphy's Law on Itami in the middle of the ring for the pin to win. Backstage, Drew McIntyre said lots of men lie about the pain and what they are willing to endure. He said he's endured pain his entire life. He asked where The Shield, Dolph Ziggler, John Cena and Kurt Angle are, because he can't see them. He said he was going to win the Rumble and then go on to win the main event of Wrestlemania, because he's the king of the Raw jungle. We go back to the panel for more discussion on tonight's pay-per-view and that's it for the Kickoff. Now, it's time for The Royal Rumble! The 2019 WWE Royal Rumble pay-per-view opens with a video package promoting tonight's matches, and talking about change and opportunity. - We are live from Chase Field in Phoenix, Arizona, as Becky Lynch makes her way to the ring and we are ready for our first match! Michael Cole welcomes us to the pay-per-view, and there is a large structure built around the ring with LED screens above the ring. SmackDown Women's Champion Asuka is out next. They stare each other down as Greg Hamilton does formal ring introductions. The bell rings and they lock up, then break. They lock up and trade holds. Asuka fights out but Becky hits her with a shoulder. Asuka dropkicks Becky off the ropes. Asuka yells at Becky. Becky comes back and shoves her. Asuka swings with a back-fist but Becky ducks. Becky talks trash now. They run the ropes and Becky side-steps a dropkick. Becky sends Asuka to the mat and tells her to fight. Asuka brings it but Becky goes for a Dis-Arm-Her. Asuka blocks it. Becky with more strikes but Asuka fights back with kicks, taking the legs out. Asuka with a shot to the face and a quick pin attempt. Asuka toys with Becky now, kicking at her, but that just fires Becky up. Becky catches a kick and unloads with forearms. Becky drops Asuka. Asuka goes out for a breather but comes back in as Becky follows. Asuka knocks Becky off the apron with a Hip Attack. Becky ends up coming back up and knocking Asuka to the floor from the apron. Asuka pulls Becky out and works her over as the referee counts. Asuka rams Becky into the LED board at ringside. Becky sends Asuka into the barrier with a Bexploder. Becky brings it back into the ring for a 2 count. Becky beats Asuka down in the corner now. Becky with more offense and another 2 count. Becky works on the arm now. Asuka makes a comeback and ends up applying the Asuka Lock while on the ropes. The referee counts to 5 and the hold is broken. Asuka charges in the corner but misses and hits the ring post as Becky moves. Becky uses the turnbuckle to apply the Dis-Arm-Her from the top now. She breaks it after the 5 count. Becky comes off the middle rope but Asuka catches her in the face with a knee on the way down. Becky comes back with forearms but Asuka just takes them. Becky sends Asuka to the corner but she comes out of the corner with a dropkick that barely connects. Asuka with a Hip Attack in the corner while selling an arm injury. Asuka with a back-fist and more offense. Asuka with a German suplex. Asuka with another Hip Attack for a close 2 count. More back and forth and a 2 count by Asuka. Asuka goes to the top for a missile dropkick but Becky moves. Becky drives Asuka into the mat for a close 2 count. Asuka rolls Becky into an armbar out of nowhere, trying for the Asuka Lock. Becky makes it to the bottom rope. They trade shots on the apron now. Asuka unloads with quick strikes to the back of the neck. Asuka tries to German Becky from the apron but Becky holds onto the ropes. Lynch tries for a Bexploder on the apron now but Asuka hangs on. Asuka now looks for a Fisherman's suplex from the apron to the floor and she hits it for the most part. They both land awkwardly hard on the floor as the referee checks on them. The referee counts and Asuka makes it back in at 7. Becky makes it back in just before the 10 count. Asuka immediately nails a kick to the head for a close 2 count. They face each other on their knees now, trading slaps in the middle of the ring. They fight to their feet, still trading strikes. Asuka unloads but Becky tries for the Dis-Arm-Her. Asuka levels Becky with a kick for another close 2 count. Becky slides out of a suplex. Becky with a springboard kick in the corner. Becky climbs up to Asuka on the top. Asuka rocks her and sends her back to the mat. Becky keeps fighting and climbs up. Becky hits a super Bexploder from the top but Asuka kicks out at 2. Fans chant "this is awesome!" now. Becky goes to the top for the leg drop but Asuka moves. Asuka applies the Asuka Lock. Asuka uses the Dis-Arm-Her on Becky. Becky counters and uses the Asuka Lock on Asuka. They break and Asuka levels Becky with a big kick to the head. Becky takes it and pulls Asuka into the Dis-Arm-Her. Asuka breaks free and rolls Becky for a 2 count. Becky rolls Asuka for a 2 count. Asuka with a nice takedown into the Asuka Lock in the middle of the ring. Asuka bridges into a neck submission and Becky taps for the finish. - We get a break, including the trailer for the "Fighting with My Family" movie. The Boss, Sasha Banks, is interviewed backstage by Charly Caruso, who asks Banks if her emotions will get in her way tonight. Banks says her passion is the only reason she is where she is. She has never been handed anything and tonight she will prove why she is the best in the world. Banks makes her way to the ring – it’s actually her birthday today! We go to the ring and out comes Sasha Banks first. Cole introduces the other international announce teams in the stadium. RAW Women's Champion Ronda Rousey is out next. We get formal ring introductions from Mike Rome. The bell rings and they meet in the middle of the ring talking trash. Banks swings first but Rousey arm drags her. Banks counters with a drag of her own. They trade counters again and Rousey mocks Banks for a pop. Rousey yells out about how Banks said she can't wrestle. She'll show us how she can wrestle. Rousey hits the suplexes like WWE Hall of Famer Eddie Guerrero but Banks counters the third. They counter submissions. Banks gets up and smacks Rousey in the face. Rousey drops her with a kick, sending her to the outside. Rousey follows and beats Banks against the LED board on the ring post. Banks ducks a shot and Rousey hits it. Rousey sells the injury on the outside. Banks runs the ropes and hits a suicide dive. Banks brings it back in for a 2 count. Banks keeps Rousey grounded now. Banks keeps control and hits a pair of double knees in the corner. Banks with a 2 count. Banks keeps Rousey grounded as fans do dueling chants now. Rousey sends Banks into the corner but she runs into a boot. Banks comes off the top but Rousey moves. Rousey levels Banks with a running elbow for a 2 count. Banks with strikes in the middle of the ring now. Banks drops Rousey by the arm and hits a running knee for another pin attempt. More back and forth between the two. Rousey powers up with Banks on her shoulders. Banks blocks Piper's Pit and catches Rousey in an armbar. Rousey fights and finally gets out but Banks puts her in the Banks Statement. Rousey reaches for the bottom rope. The hold is finally broken. Rousey hits Piper's Pit. Rousey continues to sell a right arm injury. Rousey uses the ropes for a submission as the referee counts to 5. Banks clutches her arm now. Rousey goes to the top but Banks crotches her. Banks climbs up but Rousey sends her to the mat. Banks comes back up with a knee to the face. Banks goes for a superplex and she nails it. Banks covers for a 2 count. Banks goes back to work on the arm and keeps Rousey grounded. Rousey powers up and slams Banks to the mat for a 2 count. Rousey slams Banks by her arm three straight times. Banks pulls Rousey down and kicks her out of the ring. The referee goes out to check on Rousey. Banks runs the ropes and nails a suicide dive but Rousey catches her. Rousey talks some trash and drops Banks into an armbar. Banks taps out but they're out on the floor. Rousey brings Banks back into the ring. Rousey unloads with strikes. Banks fights back. Rousey backs Banks into the corner. Banks catches a kick and hits a knee. Rousey drops Banks with a big right hand for a close 2 count. Rousey gets up first and goes for a gutwrench slam but Banks blocks it. Banks sends Rousey face-first into the turnbuckle. Banks with a double stomp to the arm. Banks goes for the Backstabber but Rousey slams her. Rousey goes for the armbar but it's blocked. Banks counters and drops Rousey for another 2 count. Banks goes into the Banks Statement in the middle of the ring. Rousey drags herself to the bottom rope but Banks is using part of her attire to tighten the hold. Rousey gets the rope but Banks pins her for a 2 count. Banks with a Fujiwara armbar in the middle of the ring now. Rousey counters the hold and powers up with a big gutwrench slam. Rousey rolls through and powers up with Banks on her shoulders. Rousey with another Piper's Pit for the pin to retain. After the match, Rousey recovers and recovers as her music hits. We go to replays. Rousey, while they're both on their knees, shows respect to Banks and helps her up. They have a few positive words in the middle of the ring. Rousey holds the rope up for Banks to make her exit. Rousey has her arm raised in the middle of the ring now. Banks stops on the entrance way and takes it all in as Rousey leaves the ring. Rousey stops at ringside to kiss husband Travis Browne. Banks walks over and shakes Rousey's hand. They talk some more and Banks puts up the 4 fingers to represent the WWE Horsewomen. Banks walks off as Rousey stares at her. Rousey greets fans at ringside now. Banks stops on the entrance way again and now she looks angry. Rousey continues greeting fans at ringside as we go to a break. - Back from a break and the RAW announcers show us highlights from the Kickoff pre-show. We also see shots of Finn Balor backstage and Paul Heyman walking into Brock Lesnar's locker room. We go to the ring and WWE Hall of Famer Beth Phoenix is introduced by Mike Rome as a guest commentator. She joins the RAW announcers at ringside. Rome goes over the rules of the match. Lacey Evans is out in the #1 spot. Evans takes the mic and says we will witness history tonight. She introduces herself and says she is the one and only true lady of WWE. Evans says she's here to clean up the entire women's division. The music hits and out comes Natalya in the #2 spot. They lock up, and Natalya applies a side headlock. Natalya whips her off, but Evans counters a hip toss. Evans flips through a move, and they both go for dropkicks. They’re at a stalemate. Evans shoves her, but Natalya shoves her into the ropes. Natalya clotheslines her over the top rope, but Evans lands on the apron. Evans punches her back and gets in the ring. Evans takes her down and puts her in the corner. Evans puts Natalya on the top rope, but Natalya comes back with a hurricanrana and a Discus Lariat. Rose gets in the ring and clotheslines Natalya before punching away at her. Rose knees Natalya in the face and goes to slam her over the top rope, but Natalya fights it. Natalya hits a Discus Lariat on Rose and sweeps the feet of Evans. While Rose was making her entrance, Evan missed a moonsault. Natalya takes them both down and applies a double Sharpshooter. Both tap out, but that doesn’t matter in the Royal Rumble. Morgan gets in the ring and charges Natalya, but Natalya gives her a back body drop over the top rope! Evans and Rose team up against Natalya, but Evans double-crosses her. Evans puts Natalya and Rose in the corner and throws a white handkerchief. She then hits a slingshot dropkick. Cross runs down and pushes Kay into the barricade. Cross gets in the ring and comes off the top rope with a cross-body block onto all the competitors. Cross runs through everyone and throws Evans over the top rope, but she holds on! Cross takes Moon down and hits James with a bulldog. Rose grabs Cross by the hair, but Cross looks like she enjoyed it. Cross hits a reverse DDT and poses. Billie Kay gets in the ring, and Cross takes her down. Cross and Kay brawl around the ring. Royce gets in the ring and hits Cross with a rolling Death Valley Driver. Kay hits Cross with a backbreaker, and Royce follows up with a big boot. Moon cuts them off, but she’s soon taken down. Royce kicks Moon down, and Kay joins in. Moon is nearly eliminated, but she holds on. Tamina knocks Mickie aside, Samoan drop on Ember, one for Peyton too, Billie jawing at her, Snuka catches a punch, she gets a Samoan drop too! Cross charging forearm, she’s stoked that Tamina doesn’t fall down! More forearms get a shove, dropkick, and another shove sends Snuka through the ropes uneliminated! Back in, superkick drops Nikki, James with a low bridge but Tamina stops herself short and fires elbows from the apron. Up top... Superfly Splash on Cross! James kicks Tamina back and hits a flying seated senton. Tamina puts James on the apron and superkicks her to the floor. This is the first Chinese female performer to wrestle on a WWE main roster show. Li takes a few people down before kicking Evans in the face. Tamina cuts Li off, but Li jumps over her. Tamina flips her over, but Li kicks her in the face with a spin kick. Logan gets in the ring and hits some running knee strikes. Logan slams Moon and nearly eliminates her, but Moon somehow manages to hang on by her foot. Kay puts Cross on the top rope, and Royce teams up to eliminate her. Royce charges Evans, but Evans props her up on the top rope. On the opposite side of the ring, Natalya is trying to eliminate Rose. Flair gets a big reaction during her entrance. Flair gets in the ring, and a whole bunch of females attack. Flair fights them off and chops Moon down. Tamina attacks Flair from behind, but she’s taken down. Flair hits Evans with a t-bone suplex. Flair then hits a slingshot dropkick to eliminate Royce and Kay. Peyton Royce has been eliminated. Billie Kay has been eliminated. Flair takes down Xia Li and puts her on the apron. Li knocks her back, but Flair big boots her to the floor. Flair chops away at Tamina while the clock counts down for another entrant. Flair clotheslines Tamina over the top rope, which Tamina nearly botched. Sane gets in the ring and chops away at Flair. Flair screams with intensity and chops Sane back. Evans clubs Flair in the back to take her down. Sane goes to the top rope and hits Logan with a diving elbow drop. Sane goes to eliminate Logan, and Natalya joins in to help. Flair and Evans go face-to-face, and Kanellis gets in the middle of them. They attack Kanellis and shoulder thrust her. Kanellis then hits them with a double bulldog. Kanellis kicks Moon and hits an X-Factor. Kanellis dances, and Flair spears her down. Evans quickly grabs Flair and bounces her off the corner. Naomi hits Rose with a jawbreaker, but Rose drops her on the apron. Naomi pulls her onto the apron and kicks her in the head to eliminate her. Rose pulls her off the apron, but Naomi bends back and does a handstand. Naomi kicks her away, walks along the barricade — she is still not eliminated. Naomi jumps to the stairs, but Rose pushes her to the floor. Naomi and Rose have to be separated by the referees. Flair then eliminates Evans. Moon nearly eliminates LaRae, but she hangs on. LaRae applies a submission to Moon, but Moon gives her a gutbuster. Fox dropkicks some people down, and Kanellis asks to team up. Fox dropkicks Sane down, and Kanellis follows up with a DDT. Kanellis and Fox high five and dance in the ring. Kanellis gives Fox her hat, and Fox puts it on Kanellis. Kanellis takes the hat off and stomps it. Fox is not happy. Fox drops down and throws a tantrum. Fox then dropkicks Kanellis off the apron. Maria Kanellis has been eliminated. Catanzaro gets in the ring and hits a head-scissor takeover on Sane. Catanzaro takes Natalya down and gives Fox a head-scissor to the apron. Fox nearly gets eliminated, but she stays alive. Fox then gives her a backbreaker. Vega runs into the ring and forearms Sane down. Vega then goes face-to-face with LaRae, her old rival from NXT. They shove each other before getting into a hockey fight. LaRae dropkicks her down and forearms her in the corner. Vega sidesteps her and hits running double knees. Moon hits Natalya with a low cross-body block in the corner. The rest of The Riott Squad joins Riott while she makes her way to the ring. The Riott Squad pulls Flair out from under the bottom rope and stomp away at her. Logan then knees Flair in the face. Logan pulls Vega down, but she escapes. They then pull Fox out of the ring. Vega then goes under the ring to hide. This is the old Jerry Lawler move from the 1996 Royal Rumble. Ruby Riott eliminates Fox. Logan and Morgan grab LaRae and powerbomb her into the barricade. She is not eliminated. They put LaRae in the ring, and Riott eliminates her. Brooke dropkicks Riott down and slams Catanzaro. Brooke then hits Catanzaro with a powerbomb. Brooke slams Riott and punches away at her. Morgan and Logan then pull Brooke out of the ring from under the bottom rope. Riott then eliminates Sane. She took a nasty bump! Moon fights Natalya and Flair off to stay alive in the Royal Rumble. The Riott Squad concentrates on the eliminated Sane, taking her down at ringside. Shirai runs down and dropkicks Morgan and Logan. Shirai then takes Riott down. Shirai goes to the top rope and hits The Riott Squad with a moonsault block to the floor! Shirai gets Riott in the ring and tries to eliminate her, but Riott holds on. Shirai and Riott fight it out on the apron. They both roll back in under the bottom rope. Ripley runs in and starts in with some strikes. Brooke knocks Catanzaro out of the ring, but her feet never touch. She sits on her rear end and does a handstand, walks on her hands, straddles the ring post, and gets in the ring. She comes off the top rope, but Ripley catches her and eliminates her. Deville spears Moon down. Riott kicks her, but Deville takes her down and knees her. Deville knees away at Brooke and taunts the crowd. Brooke shoulder blocks Deville down and hits a cartwheel splash. Brooke hits a jawbreaker on Deville and an enzuigiri on Ripley. Ripley gets Brooke on the apron and dropkicks her to the floor. Vega peeks out from under the ring, and Hornswoggle appears from under the ring as well. Hornswoggle chases her around and into the ring. Ripley then body slams Vega over the top rope to eliminate her. Hornswoggle then chases her up the ramp. Bliss attacks Moon and hits a backflip double knee. That looked nasty. Flair attacks Bliss and goes for a powerbomb, but Bliss counters into Code Red. Deville punches away at Bliss in the corner. Ripley is hanging on while Natalya and Moon try to eliminate her. Bliss then eliminates Deville. Bayley slams Bliss down and takes the rest of the field down. A “Bayley” chant picks up. Bayley knees Riott in the face and eliminates her with a clothesline. Ripley soon follows as Bayley gives her a back body drop to the floor. Rhea Ripley has been eliminated. Lana comes out limping from injuring her ankle on the Kickoff Show. She is slowly walking down to the ring, baby step after baby step. The crowd is chanting for Becky Lynch. Lana starts to cry as she is having trouble walking. In the ring, Bayley is trying to eliminate Bliss. Moon knocks Shirai to the apron and tries to push her off, but Shirai hangs on. Trainers check on Lana. She has not entered the match yet. Jax walks by Lana and big boots her down. Jax attacks the injured ankle and drives it into the metal barricade. Jax gets in the ring and swats Shirai down before clotheslining Flair and Moon. Bayley attacks, but Jax wipes her out easily. Shirai tries for a moonsault, but Jax catches her and throws her over the top rope. Jax goes for an avalanche, but Natalya moves. Natalya lifts Jax up, but Jax slides off. Jax then throws Natalya over the top rope. Carmella gets in the ring and hits a hurricanrana on Jax. Carmella dropkicks Moon, but Jax soon avalanches her down. Carmella is down. Lana has never entered the ring. Becky Lynch comes out and looks at Lana. She talks to Fit Finlay and negotiates her way into this match. The crowd is going nuts. Lynch gets in the ring, and the crowd is erupting. She goes face-to-face with Jax, who “broke her face” in November 2018. Lynch attacks Jax, but Flair grabs Lynch. Flair puts on the apron, but she stays in. Jax throws Lynch to the apron, but she holds on again. Lynch kicks Jax back and goes to the top rope for a missile dropkick. Bliss forearms Moon, but Moon flapjacks her. Moon puts Bliss on the apron, but Bliss pulls her to the apron by the hair as well. Moon holds Bliss over the precipice of the ringside area, but she holds onto Moon. Bliss tries to knock Moon off the apron, but Moon somehow hangs on. Bliss then hits an STO to eliminate Moon. Carmella bounces Bliss of the turnbuckle and stomps her down. Carmella does a moonwalk and connects with a Bronco Buster on Bliss. Bliss quickly bends her back, but Carmella slaps her. Carmella superkicks Bliss. Bayley then hits Bliss with a Turnbuckle Powerbomb. Carmella teams up with Bayley to eliminate Bliss. Jax clotheslines Bayley and Carmella down. Jax teases punching Lynch in the face, but it’s broken up. Flair starts slamming people until Carmella takes her down. Carmella goes to the top rope for a cross-body. Flair rolls through and picks Carmella up for a backbreaker. Flair goes to the top rope and kicks Carmella back. Carmella goes for a handspring head-scissor, but Flair counters by dropping her on the apron. Carmella mocks the “Woo,” but Flair puts her on the apron. Carmella superkicks Jax, and Flair knocks Carmella off the apron. Bayley nearly eliminates Flair, but she holds on. Bayley hits Jax and Lynch with a dropkick. This is the final four: Bayley, Becky Lynch, Charlotte Flair, and Nia Jax. Jax goes for a Samoan Drop on Bayley, but Flair big boots Jax. Bayley flies over the top rope. Flair and Lynch start fighting, but Jax avalanches her. Jax talks trash and head-butts Flair. Jax tries to eliminate Flair, but she hangs on and elbows her back. Flair big boots her three times to the corner. Flair lifts her and connects with a scary Death Valley Driver. Lynch is down on the floor at ringside, but she is not eliminated. Flair lifts Jax up and puts her on the apron. Lynch then pulls Jax off the apron! It is down to Becky Lynch and Charlotte Flair! The crowd is going nuts. Jax runs over Lynch at ringside, and Lynch clutches her leg in pain. Flair is laughing in the ring. Referees check on Lynch at ringside. Lynch is having trouble putting weight on the leg. Flair is positively gleeful about this. Lynch gets in the ring, but immediately collapses. Lynch dares Flair to fight her. Lynch says it is her time. Flair chop blocks the knee and viciously attacks it. Flair hits a knee breaker and twists away at it. Flair puts her in the tree of woe and kicks her down. Lynch manages to stun her with an enzuigiri. Lynch puts Flair on the apron and punches away at her. Flair kicks her in the knee to stave off elimination. Flair hits a t-bone suplex and stares at Lynch with dagger in her eyes. Flair charges for a big boot, but Lynch ducks that. Flair goes over the top rope, and Lynch gives one final kick to eliminate her! 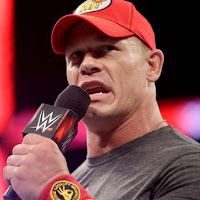 - Back from a break and we get a promo for tonight's WWE Title match. We go to the ring and out first comes AJ Styles. WWE Champion Daniel Bryan is out next. We get formal ring introductions from Hamilton. The bell rings and they face off. They go to the corner and break but AJ beats Bryan down as the referee warns him. Back and forth early on in the match. AJ drops Bryan with a shoulder and takes him back down, grounding him in the middle of the ring. AJ gets the upperhand again and sends Bryan to the floor to regroup. Bryan takes AJ to the corner but AJ fights out. Bryan fights AJ into the opposite corner. AJ fights right back out with strikes. AJ backdrops Bryan. Bryan charges in the corner but misses, hitting the turnbuckles. Bryan dumps AJ to the floor and he hits the ring post on the way down. Bryan smirks as AJ clutches his arm on the outside while the referee counts. Bryan comes to the floor and sends AJ shoulder-first into the ring post. Bryan brings it back into the ring and delivers a stiff kick to the arm. Bryan keeps AJ down, focusing on the arm. Bryan with a 2 count. Bryan keeps AJ grounded again. AJ breaks the hold by getting his foot on the bottom rope. AJ gets up and rocks Bryan with strikes. AJ with a sunset flip for a 2 count. Bryan with a double underhook slam into an armbar. AJ resists but Bryan kicks him while they're down. AJ breaks it by getting to the bottom rope again. Bryan keeps control of AJ, dropping him to the mat again and talking trash. Bryan mounts AJ with more strikes. Bryan stands up and poses for a mixed reaction from the crowd. AJ looks for a comeback and hits a dropkick. AJ keeps control and hits a pumphandle into a backbreaker. AJ with a suplex into a neckbreaker for a 2 count. AJ pounds Bryan in the face now while they're down. AJ goes for a Styles Clash but it's countered into a takedown for a pin attempt. They roll around the mat with pin attempts. AJ with a Dragon Screw leg whip. AJ with another leg whip. Bryan turns it around with a drop toe hold into the turnbuckles. Bryan with more offense into the corner now. Bryan counters and hits a Dragon suplex for a close 2 count. They tangle in the corner. AJ goes for a super Styles Clash but Bryan kicks him out to the floor. AJ makes it back in at the 6 count. Bryan gets sent to the floor. AJ knees Bryan in the face from the apron. More back and forth on the floor. AJ jumps on the barrier and hits the moonsault into the reverse DDT on the floor. The referee counts as we get a replay. AJ brings it back in and springboards with the 450 but Bryan gets his knees up. Bryan tries for the LeBell Lock and gets it locked in. Bryan yells at AJ to tap out. AJ turns it into a 2 count. AJ applies the Calf Crusher as Bryan screams in pain. Bryan makes it to the bottom rope to break the hold. Bryan drops AJ with an enziguri. Bryan delivers kicks to AJ while AJ is on his knees now. AJ ducks the roundhouse kick but Bryan delivers another kick and connects with the injured arm. AJ rolls Bryan for the Calf Crusher but Bryan kicks him in the head for a close 2 count. Bryan hold AJ's arms and stomps away. Bryan goes to the top but AJ rocks him. AJ climbs up and headbutts Bryan a few times. AJ unloads with headbutts now. Bryan slides down and crotches AJ on the top. Bryan climbs up and goes for the super back suplex from the top but AJ manages to land on his feet. AJ goes on and applies the Calf Crusher in the middle of the ring. AJ turns it into a 2 count. Bryan's knee goes out. They battle for a backslide now. Bryan unloads with elbows. AJ with elbows now. AJ breaks it and nails a Brainbuster for a close 2 count. AJ rocks Bryan from the apron. AJ springboards up for the Phenomenal Forearm but Bryan kicks his hand and AJ falls on the apron. Bryan gets hung up over the top rope. AJ springboards again but Bryan kicks him out of the air. AJ drops Bryan with a pele kick. Erick Rowan comes walking to the ring in street clothes. Rowan watches from ringside as AJ and Bryan go at it again. AJ blocks an enziguri and hits a Styles Clash. The referee is down now. Rowan comes in the ring, stopping AJ from making the pin. Rowan palms AJ's head and chokeslams him to the mat. Bryan crawls over and covers AJ as the referee wakes up. Bryan gets the pin to win. - Back from a break and we get a promo for tonight's WWE Universal Title match. 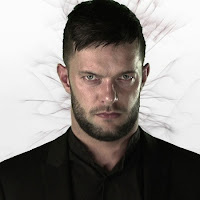 We go to the ring and out first comes Finn Balor. WWE Universal Champion Brock Lesnar is out next with Paul Heyman. We get formal ring introductions from Rome. Heyman cuts Rome off and does his own grand introduction for Lesnar. The bell rings and Balor dropkicks Lesnar into the corner. Balor unloads with punches and kicks in the corner. Balor mounts Lesnar with more offense. Lesnar sends him to the apron but Balor kicks from the apron. Balor leaps in with a stomp to stun Lesnar again. Balor with more quick offense, dropkicking Lesnar back into the corner again. Lesnar catches Balor in mid-air and delivers a big belly-to-belly suplex, sending Balor out of the ring. Lesnar follows and rams Balor into the barrier, then the apron. Lesnar yanks Balor back out into the barrier by his leg. Lesnar with another big overhead throw on the floor. Lesnar takes the top of the announce table as the referee counts. Heyman is in the background holding the title up. Lesnar looks to put Balor through the table but Balor slides down and shoves Lesnar into the corner of the table. Balor drives Lesnar into the corner again. Lesnar comes back and rolls Balor back into the ring. Balor unloads on Lesnar as he comes back in. Lesnar launches Balor into the corner and he goes down again. Lesnar with big shoulder thrusts in the corner now. Lesnar with another big belly-to-belly throw. Lesnar with another thrust and belly-to-belly across the ring. Balor catches Lesnar in the corner again. Balor with a Slingblade. Balor charges again but Lesnar levels him with a clothesline. Lesnar sells an injury from the corner of the table earlier. Lesnar is having trouble staying up. Lesnar scoops Balor for the F5 but Balor counters mid-move and turns it into a DDT for a close 2 count. Balor stomps away on the injured ribs of Lesnar. Lesnar rolls to the floor and Balor kicks him back. Balor runs the ropes and leaps over the top, taking Lesnar down on the floor. Balor goes back in and runs the ropes again, nailing another big dive to Lesnar on the floor. Balor goes back into the ring for another dive, nailing the third one. Balor returns to the ring as Lesnar stumbles around the outside. Lesnar comes in but Balor drives boots to the face. Balor goes to the top and hits Coup de Grace. Balor covers but Lesnar kicks out. Lesnar immediately goes into the Kimura Lock. Balor taps out for the finish. After the match, Lesnar sits up against the ropes as his music hits. We go to replays. Lesnar gets to his feet and has his arm raised. Some fans boo. Lesnar grabs Balor from the mat and hits a big German suplex. Lesnar with another German. Lesnar destroys Balor and raises the title in the air as Heyman hands it in. Fans give him a mixed reaction. The music starts back up as Lesnar looks down at Balor. Lesnar kicks Balor and scoops him again. Lesnar drops Balor with a F5 in the middle of the ring. Lesnar raises the title to more boos this time. Lesnar and Heyman leave together, arms in the air as Balor recovers in the ring. - Back from the break and it's time for the main event. Mike Rome introduces guest commentators for this match - JBL and WWE Hall of Famer Jerry Lawler. They join the announcers. Elias has the #1 spot and he's in the ring. He does his usual promo and goes to perform his new song but he's interrupted by the familiar music. Out comes WWE Hall of Famer Jeff Jarrett in the #2 spot. Jarrett asks Elias to move so he can do his strut. Jarrett poses and gets a pop. Jarrett takes the mic and introduces himself, saying he's the world's greatest singer, entertainer and wrestler. Ain't he great? Elias watches, guitar still in hand. Elias gives some props to Jarrett and proposes a duet. Jarrett asks the crowd if they want to see it and we get a "yes!" chant. Elias says the people have spoken and we will get the Rumble started with a one-time duet with Elias and Double J. Elias gets Jarrett to spell his name out again. Elias drops him with a right hand. The bell rings and Elias goes to work on Jarrett. Jarrett fights back but Elias drops him and asks who wants to walk with him. Elias grabs the guitar and smashes it over Jarrett as he gets up. Elias eliminates Jarrett. 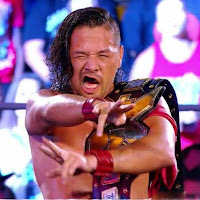 New WWE United States Champion Shinsuke Nakamura is out next. They go at it and Nakamura drops Elias with a kick. Nakamura with more offense to drop Elias again. Nakamura runs into a boot in the corner. Elias goes to the top and walks the ropes, from one corner to the other corner, then tossing Nakamura across the ring. Elias sends Nakamura to the apron but he hangs on. Kurt Angle is out at #4. Angle with several big suplexes to Elias and Nakamura. Angle stomps away on Elias in the corner now. Angle sends Elias to the apron but he hangs on. Big E is out next at #5. Big E hits the ring and tosses Nakamura across the ring twice, and a third time. Big E dances over Nakamura and runs the ropes for a splash. Elias works on Angle in the corner. Big E sends Nakamura to the apron. Angle with an Angle Slam to Big E. Nakamura sends Angle into the ring post. Nakamura tries to eliminate Angle now. Nakamura kicks Angle off the apron, eliminating him as fans boo. Out next comes new WWE NXT North American Champion Johnny Gargano to a pop. Gargano hits the ring and rocks Elias. Gargano with a hurricanrana. Big E scoops Gargano but he slides out. Gargano takes Elias and Big E down at once. Elias sends Gargano to the apron and works him over. Gargano launches himself at Elias with the slingshot Spear. The next man out is Jinder Mahal at #7. The Singh Brothers accompany him to the ring. Jinder goes to work on Gargano and is the last one standing. The Singh Brothers are holding the legs of others. Gargano eliminates Mahal. Elias takes out one of the Singh Brothers while Big E takes out the other after shoving pancakes down his throat. Samoa Joe is the next Superstar out for a pop. He tosses his towel in Big E's face and drops him. Joe with a STO to Nakamura. Joe drops Elias next, then Gargano. Big E and Joe go at it now. Joe eliminates Big E. Joe works on Nakamura now. Curt Hawkins is out at #9. Hawkins runs to the ring and runs right back out to the floor but he's still in the match. Hawkins comes back in and hits Joe but goes right back to the floor. Hawkins runs back in and stomps Gargano. Fans chant for Hawkins. Joe grabs Hawkins and applies the Coquina Clutch. Elias breaks the hold. Hawkins gets sent to the floor but he's still in. Hawkins goes under the ring to hide. The next man out is Seth Rollins at #10. Rollins springboards in and takes out Elias, then Nakamura, then Gargano. Rollins with a Falcon Arrow to Gargano and a superkick to Nakamura. Rollins and Elias go at it now. Rollins eliminates Elias. Joe knees Nakamura in the corner. Rollins works on dumping Gargano. The #11 entrant is Titus O'Neil. Titus says a prayer before running to the ring. He stops before the ring to prevent another fall and fans pop as he poses. Titus sees Hawkins under the ring and he goes after him. Nakamura with an enziguri to Joe. Titus chases Hawkins in the ring and Titus goes over the top rope. Hawkins has eliminated Titus. Joe comes from behind and eliminates Hawkins. Kofi Kingston is out next. Kofi flies in off the top and nails Nakamura. Kofi and Joe go at it now. Rollins works on Nakamura. Gargano is down in the corner. 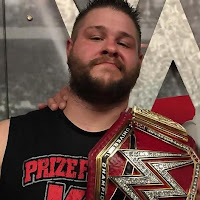 Joe works on dumping Kofi. The #13 entrant is Mustafa Ali. Gargano and Rollins take turns on Nakamura. Ali hits the ring and unloads on Joe. Nakamura knees Ali and works him over. Kofi tries to dump Rollins. Ali mocks Nakamura and Nakamura rolls his eyes. Ali eliminates Nakamura. Ali and Gargano go at it now. Joe launches Ali into the turnbuckles. 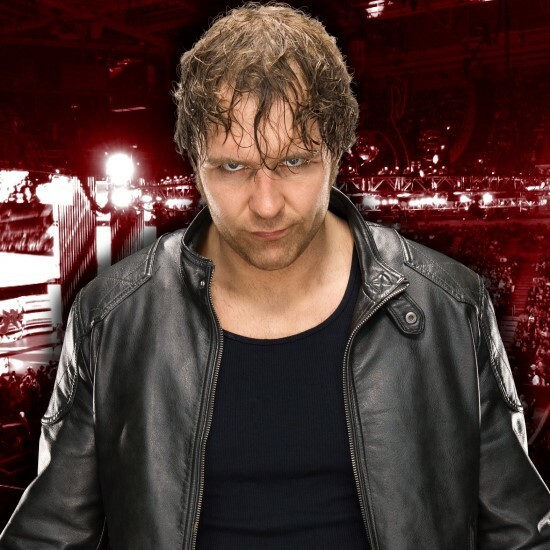 The next entrant is Dean Ambrose. Rollins waits and goes at it with Ambrose as he enters. Ambrose unloads in the corner. Ambrose tries to eliminate Kofi but he hangs on. Ambrose kicks Kofi to the floor but the referee says Kofi's second foot didn't hit the floor. Kofi rolls himself to the steel steps and comes back into the match. Kofi drops Ambrose. Ambrose sends Gargano to the apron. Ambrose catches Gargano with a big DDT off the slingshot Spear. Ambrose eliminates Gargano. Kofi with Trouble In Paradise on Ambrose. No Way Jose is out with his conga line at #15. Jose barely enters when Joe eliminates him. Jose's music starts back up and the conga line exits. Drew McIntyre is out at #16. Drew drops Jose on the entrance way with a Glasgow Kiss headbutt. Drew starts taking out members of the conga line as he walks to the ring. Drew hits the ring and nails a Claymore Kick to Rollins, then Ambrose. Drew and Joe go at it now. Drew drops Joe and others. Drew works on dumping Rollins. The next entrant is Xavier Woods. Kofi gets sent out but Woods catches him and keeps him in the match. Kofi is on Woods back, being carried to the steps. Kofi stays in the match. Woods and Kofi come in but McIntyre immediately eliminates them. Ambrose and Drew go at it now. The next man out is WWE UK Champion Pete Dunne. Dunne hits a German on Ali and goes to work on him. Dunne take Joe out now. Dunne goes at it with Drew now, taking him down. Dunne tries to dump Ali now. Andrade is out next. Drew tries to dump Rollins. Andrade enters and goes at it with Dunne, getting the upperhand. Andrade and Ambrose go at it now. Drew tries to eliminate Rollins again. The next entrant at #20 is Apollo Crews. Crews enters and dropkicks Ali, then Ambrose. Crews drop Joe and then Dunne for a pop. Ambrose chops Crews. Crews tries to dump Ambrose now. Andrade works on Ali in the corner. Rollins sends Drew to the apron and tries to dump him but Drew hangs on. Drew fights back in. The next entrant is Aleister Black. Black hits the ring and drops Dunne a few times. Fans chant for NXT now. Black takes Rollins and Dunne out with a second rope moonsault. Drew and Black go at it now. Black with a big boot to the face. Ali grabs Black and rocks him in the corner. Black with a big kick to knock Ali out of the air. Ambrose tries to dump Black. Black eliminates Ambrose with Black Mass. Joe drops Black. The next entrant is Shelton Benjamin. Benjamin enters and goes at it with Crews in the middle of the ring. Benjamin drops Crews. Benjamin with a Paydirt to Dunne. Joe with the Coquina Clutch on Benjamin. Ali breaks it up. Joe applies it on Ali now. Shelton breaks it with a knee. Ali dumps Joe and eliminates him. Benjamin nails Ali. The next entrant is Baron Corbin. Corbin hits the ring and takes Rollins down. Corbin sends Crews to the apron. Corbin with a Deep Six to Ali. Corbin tosses Ali but he hangs on. Corbin eliminates Crews. Black and Drew go at it again. The next entrant at #24 is Jeff Hardy. Hardy hits the ring and starts hitting everyone. Fans do the "Delete!" chant with him. Hardy with Twists of Fate and a Whisper In the Wind. Black drops Hardy with a big boot. Dunne works on Black now. Black with a big knee to the face. Corbin eliminates Black to boos. Dunne goes after Corbin now but Drew nails a Claymore. Drew eliminates Dunne. The #25 entrant is Rey Mysterio. Rey unloads on Corbin to start. Corbin catches Rey in mid-air and drives him down into a big backbreaker. Shelton works on dumping Ali. Andrade stomps on Rey now. Drew tries to dump Hardy. Andrade powerbombs Rey. Corbin almost dumps Rollins. The next entrant is WWE Intercontinental Champion Bobby Lashley with Lio Rush. Lashley goes at it with Rollins but quickly gets eliminated. Lashley pulls Rollins under the bottom rope and tosses him to the floor. Rush takes apart the announce table. Lashley destroys Rollins and places him on the German announce table. Lashley stands on one table and launches Rollins through another table. Rollins is laid out. The next entrant is Braun Strowman as officials try to keep Lashley and Rush away from Rollins. Cole says Rollins needs medical attention. Strowman hits the ring and goes at it with Corbin. Strowman eliminates Corbin. 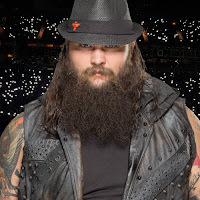 Strowman eliminates Shelton. Dolph Ziggler is out next at #28. He eliminates McIntyre shortly after entering. Andrade drops Rey. Braun levels Andrade. The #29 entrant is Randy Orton. Braun clubs Rey back down. Orton enters the ring and Braun stares him down. They go at it. Strowman blocks the RKO. Strowman powerslams Orton. Andrade and Ali are up top now. Braun goes over and brings them both to the mat thanks to an assist from Rey flying off the top rope. Strowman charges and Orton moves. Braun hits the ring post and falls to the floor but he went through the ropes. The #30 entrant is out next, R-Truth. Truth raps his entrance but Nia Jax runs out and drops him from behind. Jax destroys Truth and leaves him laying. Jax heads to the ring now, stealing the #30 spot it appears. Jax enters the ring and takes Andrade down, then Rey. She also hit Ziggler. Jax drops an elbow on Rey. Jax stands tall as Ali approaches but puts the brakes on. Jax smiles at him and headbutts him. Jax eliminates Ali. Orton sneaks up on Jax as fans pop. She turns around and stares at him. They face off as fans pop. Orton goes for the RKO but she blocks it. Jax drops Orton with a shoulder. Rey goes for 619 on Orton but Jax stops him and scoops him. Ziggler superkicks Jax. Rey drops Jax into the ropes and hits her with 619. Orton runs over and drops Jax with the RKO for a big pop. It's down to Strowman, Rollins, Orton, Jax, Rey, Andrade and Ziggler now. trowman runs in out of nowhere and flattens them both. Strowman waits for Andrade to get up. Braun with a huge splash in the corner, then one to Ziggler. Braun runs around the ring and runs over Rollins as he walks back to get in the match. Strowman rolls Rollins back in and stalks him. Strowman scoops Rollins but he slides out. Ziggler superkicks Braun. Andrade with a flying knees in the corner to Braun. Ziggler with a Zig Zag to Braun. Rollins goes to the top and hits a Frogsplash on Braun. Braun eliminates Andrade. Ziggler and Rollins double team Braun. Braun eliminates Ziggler. Rollins comes from behind and sends Braun over but he hangs on. Rollins superkicks Braun but he hangs on. Braun chokeslams Rollins. Braun stands tall and poses over Rollins to a mixed reaction. Braun scoops Rollins and sends him to the apron but Rollins hangs on and tries to pull Braun over. Rollins pulls Braun to the apron. Rollins rams Braun into the ring post and kicks him to one knee. Rollins nails the Stomp on the apron and Braun is eliminated. After the match, Rollins stands tall and looks at the WrestleMania 35 sign as his music hits. We go to a replay. Rollins celebrates the win and poses in the corner. Rollins points up at the WrestleMania 35 sign as the 2019 Royal Rumble pay-per-view goes off the air.